In today’s fast-changing world it is hard to imagine our life without music. In the era of music streaming services artists and publishers also are getting a fair share of revenue - we know for sure that music streaming service of Spotify, for instance, pays 70% of all the revenue they generate to the artists directly. However, there is a third party that gets beaten up in the world of digital streaming - they are the unsung heroes of the music world… songwriters they are. However, the newly-released qWaqq is on the mission to change it. The idea our client Jud - a 6-time Oscar, Grammy and Golden Globe nominated hit songwriter came up with was that songwriters can submit and make money on either their unreleased songs, or the so-called “hidden gems”, their demos that they have recorded but have not sold to labels - so they just lie in a dark corner and don’t generate revenue for them. Every songwriter can contribute to qWaqq; you only need to be a member of Performing Rights Organization (e. g. BMI or ASCAP) to take part. Here songwriters can sign up within the system and upload their unique content, setting it up and creating various playlists. The frontend part we wrote on HTML 5 and CSS, adding Bootstrap for grid, and a Backbone framework Marionette + Handlebars for semantic templates and Gulp as a built system. The main focus is on the special “flaw”, where users get to choose any artist they fancy, and the system responds by giving them the songwriter’s name and his music works list. Users can dive deeper and follow his works, receiving the fresh update everytime some new vibes come out. 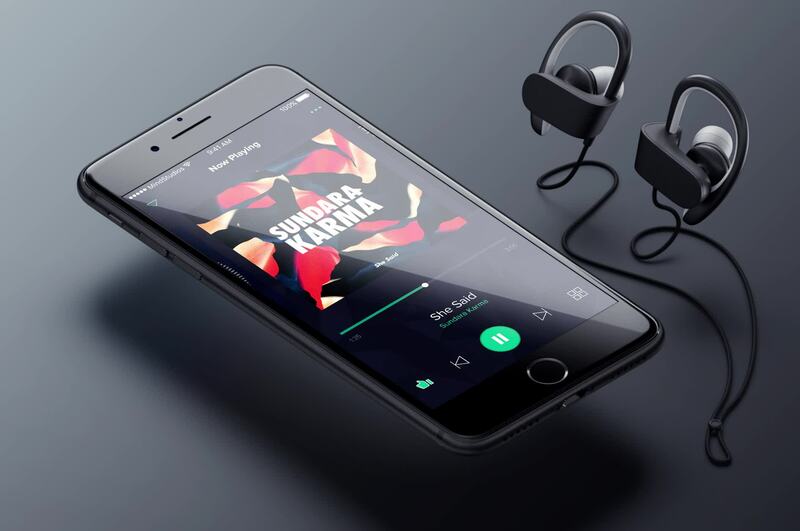 We have also synchronized qWaqq with iTunes music, so that users get to listen to a 30-second demo of a famous song - to recognize it before turning on songwriter’s original version. Our server part of the qWaqq is responsible for parsing meta tags from media tags, and for all the operations with HLS, DRM encryption in the format of FFMPEG and m3u8 playlists. We wrote the whole server part on Ruby on Rails, adding MySQL for the data storage, and various frameworks: Elasticsearch for on-server-search, Imagick for dynamic images generation, and Sidekiq for background tasks (song segmentation, encryption, push-notifications, email newsletter). We have also used a CDN - to optimize the content users receive. Even if an application gets hacked - the hackers won’t be able to put their hands on the music material. Now that the MVP version of a qWaqq music player is live, qWaqq team and Jud personally can focus on the future product perspectives. Mind Studios are delighted to continue to be an important part of qWaqq team.